Tehran, March 5, IRNA -- Iranian private sector is keen on investing $1 billion in development projects in Belarus, said Iran's minister of industries, mines and trade. Addressing the Iran-Belarus Joint Commission, Mohammad-Reza Nematzadeh said Iran is also ready to extend medical services to patients from Belarus, Mehr News Agency reported. The minister further noted that the ground is prepared for the two countries to trade in medicines and medical instruments. He urged the Iranian private and public sectors to take up the opportunity. Although both countries are politically and economically independent, it seems that the intensification of some of the Western sanctions, particularly those pertaining to the banking sector, in the past few years, have created a number of problems to increasing trade ties, he said. The minister added the governments of both countries are required to facilitate private sector involvement in implementing the projects in the two countries while further expanding cooperation between state-run companies. He listed industries such as oil, food, automotive and construction materials, power generation as well as mineral and ore extraction as among the areas of bilateral cooperation. 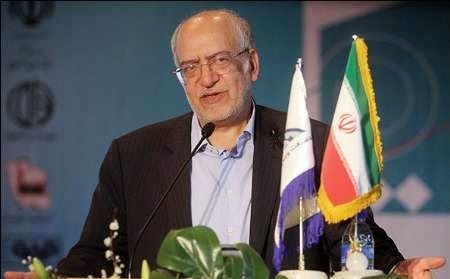 Nematzadeh added the two sides have the potential to enhance cooperation in the field of nano-technology and aerospace engineering.